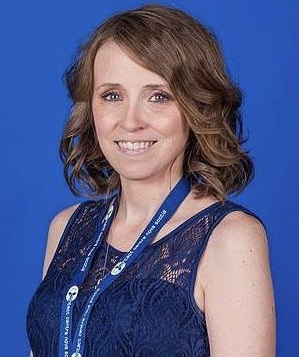 My name is Jessica and I am honoured to be the 2019 Gutsy Walk Honorary Chair for the Amherst location. Crohn’s disease and ulcerative colitis are diseases that greatly effect both myself and my family. I was first diagnosed 18 years ago when I was 14 years old, although my symptoms started when I was 12. It took doctors 2 long, painful years and many tests to finally diagnose me. Once diagnosed, I was put on everyone’s least favourite medication right away to help my body begin the process of getting me better. Medication after medication was used to try to lessen my symptoms but either nothing worked, or my body eventually built up an immunity to it. Finally, years later, I was asked to take part in a study testing a new drug and if effects on those with Crohn’s disease. The results were outstanding! I have been on the medication since and for the most part have felt like a completely different person! My family has been living my Crohn’s journey along with me and has been the best support system anyone could ask for. We have been involved with Crohn’s and Colitis Canada and the Gutsy Walk since it was the Heel N’ Wheel Athon! And after my mother was also diagnosed with Crohn’s disease, our passion to bring awareness to these life changing illnesses only grew stronger! We hosted the first Gutsy Walk in Amherst in 2017 and are glad to be bringing it back in 2019. So come out and show your support and help raise funds and awareness for Crohn’s, colitis and IBD! We all know someone effected. Let’s make it stop. FOR LIFE!